Launna... this is so well written. Love reading your articles. Fear really does a lot of damage indeed, and overcoming that is one of the greatest things to happen to someone. Warm wishes and greetings to you. I love that last quote about how people should have behaved better if they wanted you to write about them warmly. When we're having fun with some of our friends, sometimes one or the other of them will ask if I'm gonna write about something they just said or did. HA! Keeps 'em on their toes! I think whatever someone writes from the heart will resonate with those who read those words. True feelings shine through. So true Launna, I love your point! Your posts are always so inspiring! We all have our way of coping with things. Writing be it anything (prose /poems etc..) is a very nice way. Others might have different ways. But I feel writing is the best way. I feel it very cleansing. Launna, I agree that you are a great writer, with a talent for expressing emotional matters so well. I always leave your posts with much to think about. Keep doing what you're doing, please! I really like your third quote this week - I'm going to feature it on my blog this week, and link back to you, of course. If that's not okay with you, please let me know! I see your point in owning your story, it helps not to remember so you don't repeat the past. It truly is all a learning experience. You are a fabulous writer and an honest one. Go on like this, dear Launna! Again I am very proud of you for your writing and how far you have come. 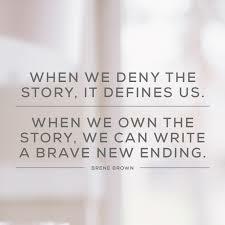 I am a firm believer that it is all part of your story and you should write whatever you want here. I often felt the same about deleting posts- some of my earlier posts about depression were extremely negative- but there's where I was at in my life in the time. É bem caro mesmo, mas vale cada centavo investido! Estou apaixonada por água termal. Acho que escrever é realmente algo muito bom para colocar os sentimentos pra fora... Extravasar, sabe?! E não tem nada do que se arrepender com um texto escrito. Faz parte do seu mundo! That is an excellent point Launna. But it's true that if you want to become a better writer you must write. I can see how much you have evolved over the past several years. I feel you are moving forward. All the best to your writing! Cada uno hace su propia historia. You are very brave in my eyes to share all these intimate details about your life with us. It is brave and should be prized. :) I admire it as I am still not ready to write about what bothers me. Reading posts like you give me a hope that one day I will manage to overcome my struggles and will be able to share it with people... Thank you and have a lovely day! Wow that first meme gave me goosebumps! I love it when I share something old and it still resonates with me. Sometimes I can’t believe I was there, sometimes I can’t believe I’m still there and sometimes I can’t believe I’ve come so far. Just imagine how many branches that is to touch all kinds of people if it reaches them. - A brave new ending. I love that. Oh, definitely don't delete stuff because of someone else. I agree about fear holding people back. I have reached a point where I'm just not really afraid of anything. Truly. I guess because I have some really scary past experiences.... comparatively not a whole lot is as scary. Thank you for your honest sharing about your life's journey. I am sure even though you may not know but you are touching lives of people who are reading your blog. Your sharing may be encouraging and comforting those in need and helping them to move forward. You are one of the ones who inspired me to start my own blog, and I do agree that you have the ability to connect with others through your words! I think that for everyone who comments on your blog there are others who are silent readers too. You probably connect with more people than you know. I'm glad you're keeping everything intact, I have often been guilty of purging old art galleries and constantly deleting things in order to start fresh... I want to take a leaf out of your book and keep the past as a memento of my journey. P.S. Hope you're feeling better soon. You are without a doubt a brilliant writer, Launna but one of the main reason why you are so good is you write from your heart. Your writing is pure, honest and at times raw and it feels like an old friend. Your writing is never pretentious and that's why many of us resonates with you. We feel your pain, sorrow and happiness through your words and that is what makes your stories so beautiful. I applaud you for being so honest and raw. I'm sure it has helped somebody somewhere. Not everybody has the courage to open up and I know it takes more than half the burden away when you open up to either a friend, family or like you to your readers. You do have a gift in your writing. You are able to get to the heart of a matter and touch people's lives with your words. I'm glad you continue to share what you write. I adore that quote about taking ownership over what has happened in your life. Glad you are leaving the entries... they are a part of your story!! I hope your week i wonderful!! I think I've been visiting your blog even in the early days. How fast time flies, eh? 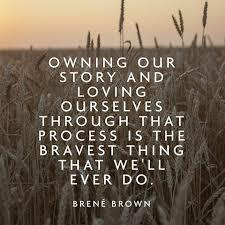 As for owning your story: Good going! Sometimes, our own doubts eat away at our ability to listen to ourselves. And I think that is often why we get stuck in a rut. de bom, tenha uma semana abençoada. you have written in so simple n so lucid style... yet you tell the story with all your heart.. I've never seen you..but you touched me.. my eyes have filled with tears when I've finished reading.. keep writing.. 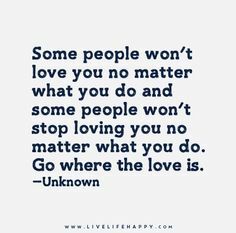 I like the quote about going where the love is. I'm sure you have touched a lot of people. Keep writing! Your writing DOES touch other people. For a while I was writing a lot of posts about my own childhood - then I started getting to the ugly stuff and I stopped. I think you've convinced me that I should tell them. I am so glad you went back and reread some of your older posts so that you can see what a great writer you are and how your writing touches others. You definitely have a lot to teach people and your words inspire people more than you know! I love the quite that you end this post with because it is very true. We can't be responsible for how others treat us! I'm so glad you kept up with your blogging. And I'm also glad you didn't delete any of the posts. It's really interesting to go way back to the beginning and see how much your life has changed, as well as your writing! It's important to go back every now and then and relive the good times and the bad. It helps us see how much we've grown. (As embarrassing as it can be.) I applaud your courage in sharing. Most of my awful moments are tucked away in journals. Lovely read dear, thank you for posting ! 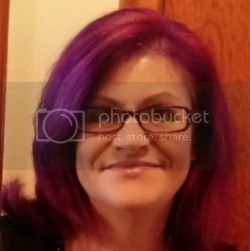 Dear Launna, you have been blogging for a long time and I discovered your blog only a couple of years ago, yet I found a great deal of inspiration and motivation here. There's something special in the way you express yourself that make a lot of us feel indentified in some way or another. It must be crazy to think that your words can reach so many people from very different places of the world and even from very different ages. I'm so grateful for finding your blog, because it helped me to see some things differently and reminded me to look for the lesson behind every challenge I've faced and will face in my life. I thank you for sharing your story and helping us to own our owns. You can definitely touch people with your words, Launna! I have been following you for quite some time now and it's been great to see how your feelings and way of thinking are changing and how therapeutic writing has been for you, but I'm sure your posts give strength to a lot of people besides yourself as well. Fear is very bad, but not easy to stay away from it sometimes. We're more than conquerers though through the name of God. That's touching! I'm really glad you are finding yourself now and getting more confident and happy with your life. Fear does define us for a while but we have to not let it and we have to build up from it or around it. I know you will continue to grow stronger! How lovely to read this post Launna ... and so pleased you didn't delete any older ones. This is absolutely beautiful, Launna. Writing has definitely always been therapeutic for me, and your words are raw and touching. It's the kind of writing that makes you feel something stirring inside, and that's one of the best kinds. I've always found so much inspiration from here. I feel sorry for missing out on your posts lately--I've been so stressed and busy with everything. Yet, reading your post today brought me a lot of motivation. You have no idea what an impact your words have! Ah, I hope that you are feeling better now Launna! You are really an inspiring writer! I think it is a great thing to help each other! Launna I clearly know from ur writings & I have read over the course of knowing you that you have had so many hardships and u have come out as a winner through all the trials.. its good that u own ur past and did not delete it.. It is not easy to forget the past and move on but its better to do that.. Hope u have a great weekend & thank you for the kind words on my blog.. perverts r everywhere sometimes they make life miserable for unmarried women.. I think it is incredibly true that words are therapeutic. It is so brave of you to share your story with the interwebs. I agree fear does a lot more damange than anything else. Thanks for your lovely comment my dear friend! I wish you a beautiful WE! This is soooooo true. Fear is huge, a barrier that too often holds us back and I love that quote about love from other. Some wont' love us and some will no matter what. Hugs to you. Your honesty is really appreciated and I am sure it has helped many people including me. What an incredibly inspirational article! Absolutely loved reading it! Ciao Launna, Have a Lovely week! I'm sad to know you went through such hard times. What you said is very true. There's something really special about writing, and the ability it gives us to make sense of feelings, and move past them. You're a very inspiring lady! Also, thanks so much for your continued support of my blog. I really appreciate it. This post is teeming with truths! And perfect timing for me because, while I usually write fiction, I am considering a nonfiction writing project about my life but have so many reservations about starting it for ALL the reasons you mentioned (Why is my life special enough to be written about? What would the people in my life think if they read what I thought and felt about them? )Your bravery is SO inspiring. An honest to goodness post. You are right about going where love is. We just need to remind ourselves and thanks for the reminder. Take care of your self and your blog is a place where people can find love and honesty at the same time.God Bless. Being true to yourself is what really counts... the authentic voice, that is you. If we are ashamed of how we think and what we say/write, then why share our thoughts at all. Launna you are courageous and bold. You inspire so many people with your words and yes you are a fantastic writer. I love how you talk about conquering your fears. I'm still getting to do that and slowly you motivate me to break out of that shell of being very conscious and to remain true to myself. My blog is obviously totally different than yours and I don't write about my deepest feelings or share my stories with the world the way you do, but even I experience some of the things you experience when reading old blog posts. They make us realize how much we've changed, and that change can be in every aspect of our lives. Launna, you are such an amazing and very inspiring writer! First of all it takes a lot of courage to write so openly about how you feel. Second of all, I am very sure that most people can relate to you in one way or another. We all go through intense pain in life, we all know how devastating relationships can feel like, most of us wonder if we deserve happiness. The way you write about your story, the way how you refuse to ever give up no matter what happens, the way you share the wisdom you learn on your way is incredibly amazing. You are a gift to the world, Launna. And your writing has evolved over time to reach more and more people on this journey, letting them know they are not alone. And you are not alone. We're all here with you, grateful for you, for your words and your motivation. Thank you! all my three kids are sick :))) Never happened before all together... I hope you're well. I send you a big hug! Well, dear Launna I think that writing definitely was in your destiny! The life is unpredictable and almost all the time out of our control, but I'm sure that if you follow your heart you can find your ideal dimension, and so became a happy and kind person! Hi dear Launna, how are you? my belly is growing :) but lately I'm not very well because of the cold, here it's cold and it's damp. I am happy to read your comments on my blog, a big hug. Hope you are weel now, my lovely friend! So lovely post! Have a nice day! Lau querida uma bela noite para e família. Yes You are very good writer and I love to be able to write like you! My English has a lot of mistakes and |Id love to be able to express myself as you do! Yups you really inspired me with all you wrote dear,,, :* get well soon launna.. I guess what you did in 2009 was to open your own way to say what you were´t able to speak out loud. To write something down like a diary helps to reflect what happened. I believe that it may safed your live in a certain way after all that happened. For sure you develop over all the years and you can see that by reading your old articles again. To delete these article means to delete a part of your past and you should never delete the past! Life isn´t always about going straight, further more its about challenging the indirect routes. You challenged so many of these unexpected roads the last 7 years. Always when I read your posts I sit down and read each one of them several times, because I feel connected to you on a special way somehow. Ic ant really explain that feeling, but I guess it´s what you wrote. You have this ability to speak to others by writing down your words! This blog is a part of you and a part of your story!! I love that quote of yours at the end! And everyone could certainly benefit from more joy in our lives.